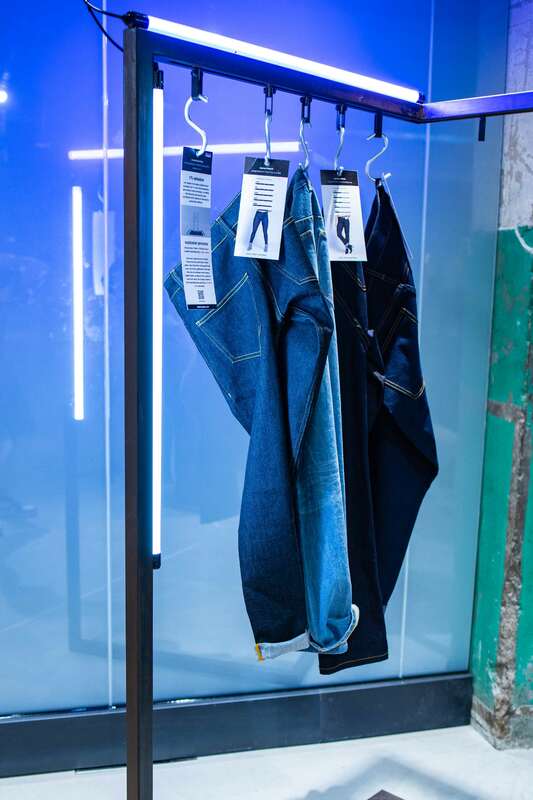 4th April 2019 – The Mills Fabrica, the innovation arm of The Mills Fabrica, will celebrate the grand opening for its first retail store – Techstyle X on 6th April at The Mills. Techstyle X curates globally exciting lifestyle experiences, providing a platform for promising techstyle companies to showcase their products and services. Bridging the gap between traditional long-term and pop-up stores, Techstyle X offers innovative startups a retail space with high traffic and flexible terms. Following its grand opening, Techstyle X will offer three experiential zones for its visitors to discover new techstyle innovations. Visitors will get a chance to use the self-serve 3D scanning station, customize their own t-shirts, and explore the latest techstyle innovations. Techstyle X features new and exciting innovations for all to experience.TG3D will provide customers with a chance to use the self-serve 3D scanning station to obtain their very own digital avatar with key measurements. Customers may then order the perfect fitting garments from personalized suits, to sustainably-sourced denim jeans. 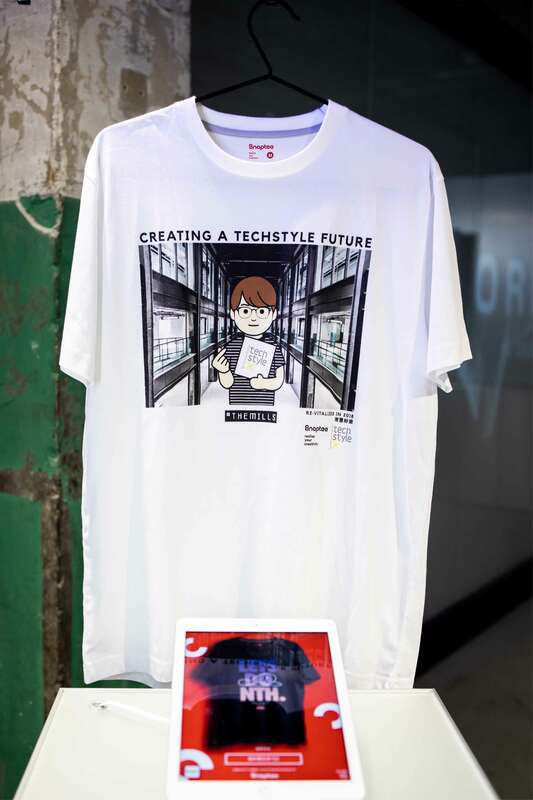 One can also customize their own Techstyle X Snaptee edition t-shirts inspired by heritage and innovation only available at the Techstyle X store. Discovery Zone – companies can rent a display space to launch their products, test the market and share their innovations with the world. Techstyle X members include some Fabrica incubatees: Simple Pieces, Origami Labs, TG3D, Unspun and other exciting innovations from Vacanza, UNQ and Facha whose products are available for online purchase, while Techstyle X-branded products will be available to buy in store. Techstyle X bridges the gap between online and offline, whether its ordering custom fitted garments with 3D scanning or utilizing AI-based ecommerce platforms to find your favorite products. 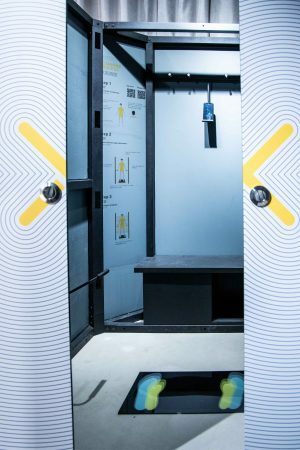 The Popup Area – allows members to express their identity, experiment, and launch their products and services in a fully customizable retail space at an affordable cost. Customers will be able to witness the latest and upcoming brands in the techstyle industry. The Machine Space – an extension of Fabrica Lab which features Morgan Tecnica, an Italian fashion technology company, who has sponsored the PLY 1 fabric pattern cutting machine. It is currently the only machine of its kind in Asia and provides Fabrica Lab members with a unique experience of creating clothes using the latest technology. Visitors will have the chance to see in real-time, an essential part of the garment-making process. Visitors will be able to sign up for our new series of educational content focused on techstyle creation. Hosted at the Fabrica Lab; “Fabrica Lab 101 Introduction to Techstyle Creation: Tote Bag Workshop” will give the public a chance to work in the Fabrica Lab and learn how to make a tote bag. This series is aimed at providing the public a place to learn about techstyle creation and the basics of product development. Techstyle X is an extension of Fabrica Space that also includes a co-working space, a prototyping lab, and a multifunctional event space to support our incubation program to build a techstyle ecosystem. Techstyle is comprised of 3 categories. The first is material & supply chain innovation, creating a new era for manufacturing. An example is Unspun who make customized jeans on demand through innovative technology and sustainable sourcing. The second is wearables merging technology & style – these companies are crafting beautifully-designed yet functional products that improve day-to-day living. Origami Labs will open its very first pop-up at Techstyle X. 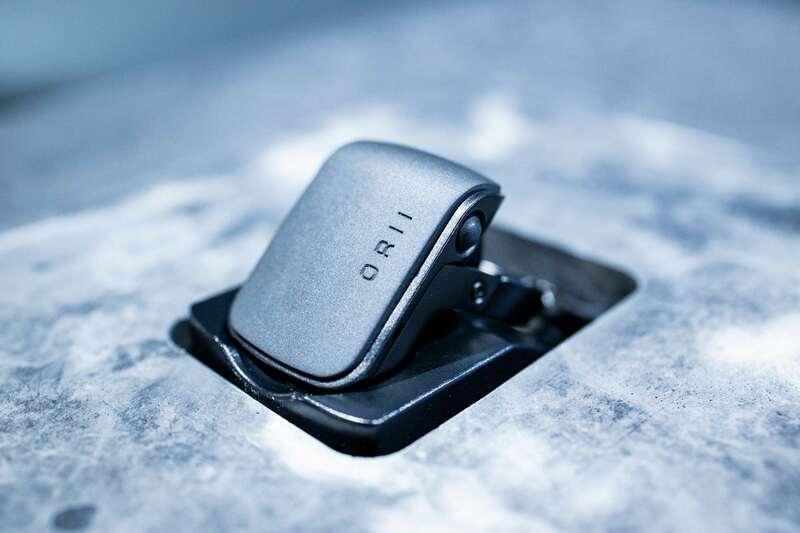 Known as the ‘world’s first voice-powered ring’, ORII allows you to instantly send messages, make calls and use a voice assistant in a screen-free way, with just a touch of the ear. The third category is new retail experiences. TG3D creates 3D digital avatars of customers to produce tailored techstyle apparel. Their scanning station is a self-scanning service that can provide essential data for a customer in just five seconds, and store it on the customer’s mobile phone with a paired “Cloudzet” app. Once customers have their digital avatar and measurement data, they may then use this in any of their future shopping experiences to make sure they purchase the right size, whether online or offline. At the grand opening of Techstyle X on 6th April, representatives from The Mills Fabrica, existing and potential members will be invited to join and witness the launch of a new chapter of experiential lifestyle and techstyle retail in Hong Kong. All visitors are welcome to enjoy our three experience zones while discovering the latest in techstyle innovation, whether that’s new retail experiences, wearables merging technology with style, or even material and supply chain innovations. Techstyle X will provide a unique experience to visitors of all ages – come and discover the latest in techstyle innovations at Techstyle X. For high resolution images please download via this. ORII is the world’s first voice-powered ring that allows you to instantly send messages, make calls and use your voice assistant in a screen-free way, with just a touch of the ear. Snaptee is a mobile app that realises everyone’s creativity into a t-shirt. Using Snaptee, users can design and customize their own t-shirt within 30 seconds with photos from their smartphone, enabling them to share, buy, sell, and curate their own creativity. Snaptee has shipped tens of thousands of t-shirts to over 50+ countries around the globe and achieved over two million downloads to date. Unspun make customized jeans with the smallest impact and the largest life span. Through innovative technology and sustainable sourcing, they’ve gotten rid of sizes and are revolutionizing the fashion industry. Facha is a Bespoke Suit Kiosk. It creates the new idea of “made to order” for the modern business man. Using 3D scanning technology it creates perfectly fitted formal business suits. It is a startup tailor shop based in Taiwan. Vacanza Shirt 360 stretch has 16 unique features. It is a patented material technology from Italy which is Breathable, Quick Dry, Anti-UV and Anti-wrinkle and supports sustainable production. 62.4 liters of water are saved in production compared to conventional cotton. No ironing is needed and it is made to order using 3D Scanning technology. UNQ is affordable Smart Luggage with an app. It has 13+ design patents which allow for Global GPS tracking, Smart Weight Calculation, an Anti-theft alarm, a Removable (travel safe) battery and Dual Battery System. TG3D is a self-service 3D body scanner which creates Digital 3D customer avatars. The whole scanning process takes only five seconds. By pairing it with the “Cloudzet” app, consumers can have their own data stored on their phone. The Multipurpose Family Backpack is a Kickstarter-funded student project. Five students are bringing families together with Dad’s Rucksack, Mum’s Tote Bag, Kids’ Backpack, Picnic Mat and a USB Charge Port, with water resistant and mosquito-repellent features.